PicoScope 4444 has 14bit resolution on four channels and 256 megasamples capture memory for precise analysis of complex waveforms. Pico's high-resolution differential oscilloscope PicoScope 4444 features four true differential input channels and a range of accessories for measurements from mV to 1,000V CAT III applications. 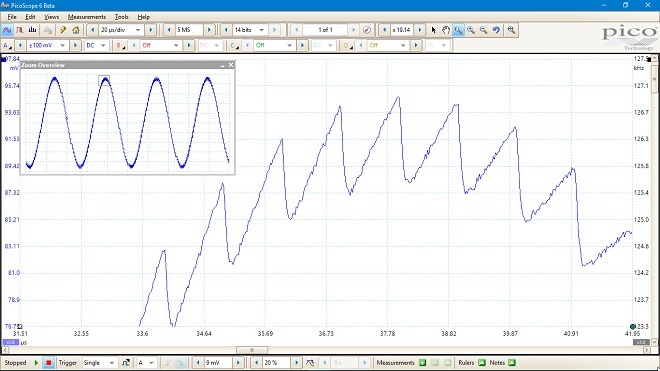 This PicoScope addresses the problem of making accurate voltage waveform measurements on circuit elements that are not ground-referenced, without the risk of short circuits that could damage the device under test or the measuring instrument. Figure 1: The PicoScope 4444 and its compatible probes. To make low-voltage measurements in the presence of high common-mode noise or varying offset voltages, ground-referenced oscilloscopes require use of two input channels and an A–B math function to observe the differential signal of interest. Aside from requiring two input channels, most scopes don’t have a high enough common-mode rejection ratio (CMRR), nor the resolution to make measurements with sufficient precision, according to Pico. Engineers working on multiphase power distribution systems need to measure phase-to-phase AC voltages, rather than phase to ground. A ground-referenced scope can’t be used as it will cause a short circuit. External differential probes are a solution but they are quite expensive and cumbersome, with each probe requiring its own power supply. The PicoScope 4444 has differential inputs and a choice of 1:1 low-voltage and 25:1 1,000V CAT III probes to address both of these problems. Figure 2: The PicoScope 4444 instrument has 14bit resolution on four channels and 256 megasamples capture memory, for precise analysis of complex waveforms ranging from biomedical sensors to current probes and 1,000V CAT III power distribution circuits. The scope has an intelligent probe interface that, in addition to delivering the differential signal to be measured, can also provide power for active probes such as Hall Effect AC/DC type active current probes. 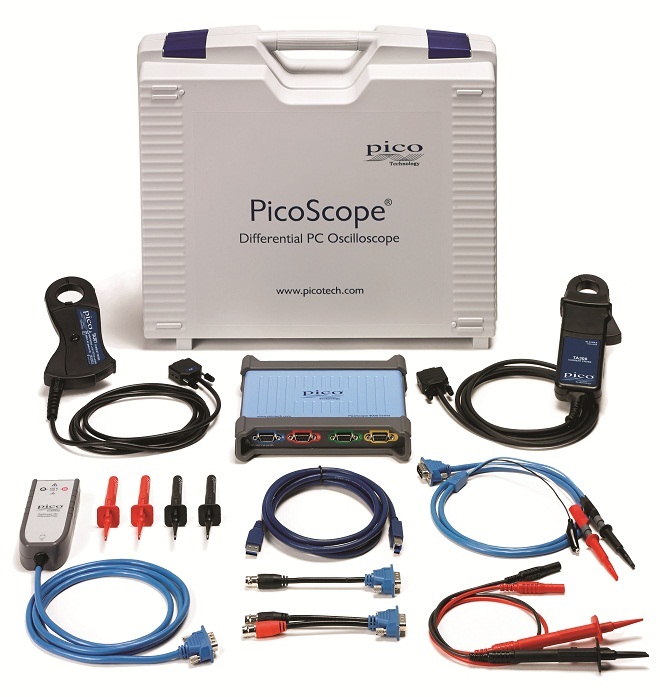 The scope detects when a compatible probe is connected and sets the corresponding units and vertical settings in the PicoScope 6 software.